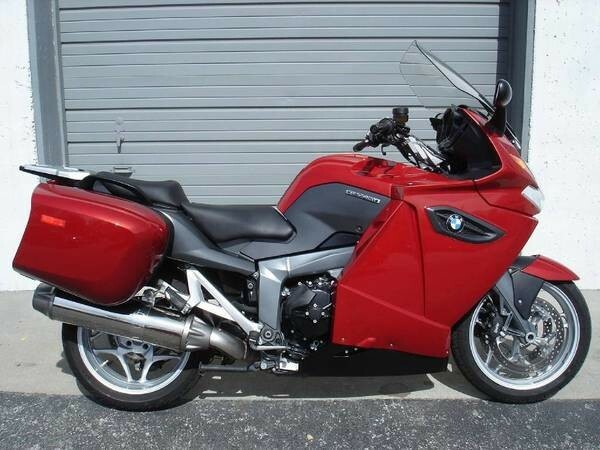 2009 BMW K1300GT only 9000 miles in Excellent Condition. Age/Medical forces sale. $8000 OBO. It is a comfortable, feature-laden touring bike, but its specs are closer to a superbike - 160hp, 100 ft-lb, ~600lb wet. Many options 6 speed transmission. ABS, ESA (adjustable suspension on the fly), ASC (stability control), TPMS, Cruise control, heated seats, heated grips, integrated hard luggage, super bright Zenon lighting, larger aftermarket windshield, electrically adjustable windshield, , headlight guard, computer, Bar Backs and lowering pegs. ...All service up to date. Beautiful bike, trude. Located where? Located in Phoenix. Sorry will not be able to consider a trade. Have a K1300S and a Harley Fat boy. Two bikes have to go.